Take clients on a wondrous journey of discovery to see America at its most beautiful. 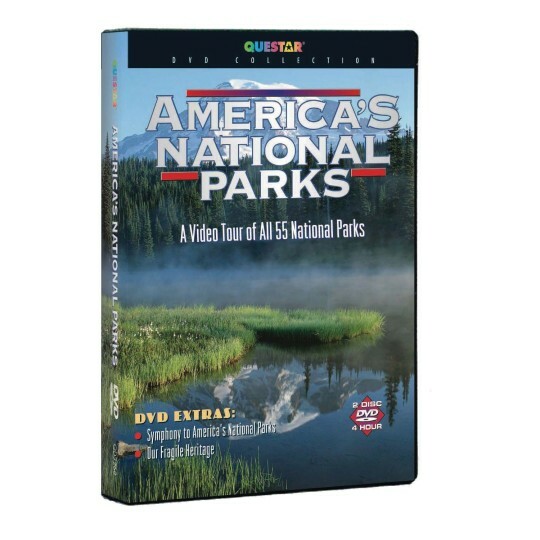 Visit all 55 National Parks – from Alaska and Hawaii to Florida and Maine. A great way to encourage fond memories of great vacations, this stunning 2-CD set includes 4 hours of stunning scenery backed by soothing classical music. Give your clients the peaceful feeling of being out in the great outdoors.